Unfortunately there is no promotional scheme available on the Prize Finder Bingo to assist us in advertising the site. As such we have provided you with an alternative called BoyleSports Bingo, which is an impressive gaming site offering a great choice for any type of player. Mobile Bingo Bonuses bring you a bingo site launched in 2015 through the incredible Cozy Games platform, called The Prize Finder Bingo. This sleek and responsive site offers an impressive range of games such as casino, slots, tourney, scratch cards and our favourite bingo. For the instant games fans, they have household names such as Honey Bees, Mystic Wilds and Fish Toons. The fact that The Prize Finder Bingo is available on a number of mobile devices, can only add to the excitement. All you need is an Android, iPhone or Tablet device and you can play when and wherever you like, making those mundane chore such as walking the dog, much more exciting. 50 bingo cards for follow the Facebook or Twitter pages. Whether you’re new to online bingo or you’re a dabbing expert, you’ll find the registration process really simple. 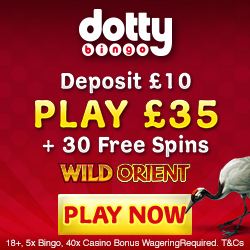 As a new member of The Prize Finder Bingo you’ll receive £10 bonus credit, no deposit required. This credit is a little welcome from the site and the perfect opportunity for you to play around on their variety of games before you choose to add any of your own money. 3rd deposit, 300% cash match bonus on minimum £10. So if you were to add the minimum £10 on each occasion, you’ll walk away with £115 bonus credit; or a grand total of £145. This will not only increase your chances of winning one of their incredible jackpots, but you can also try out a variety of old favourites and new games; Keno anyone? To thank you for your loyalty The Prize Finder Bingo continue offering bonus credit from the 4th deposit onwards, through their cash back bonus. The percentage bonus is dependent on the amount of credit you add, but with a minimum deposit of £25 giving you 5% and maximum £200, a cool 20%; you’ll always walk away happy! 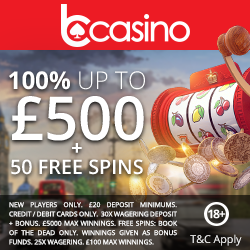 There’s even a deposit special for those of you who prefer banking with cash, where you could receive up to 100% casino cash. If you’re already planning on telling your friends about The Prize Finder Bingo then wait until we tell you about their refer a friend bonus. If your friend registers and deposits a minimum £10, using the friend’s link, then you’ll receive a £10 Amazon voucher. The Prize Finder Bingo know that for most bingo players the best part (apart from winning) is meeting fellow roomies. Because of this they offer chat games where you can win amazing prizes for easy questions and games. For the social media fans out there check out The Prize Finder Bingos Facebook and Twitter pages so you can keep up on the latest games and exclusive news on promotions. Simply for liking either page you’ll receive 50 bingo tickets. So if you’re ready to begin a journey of incredible bonuses and credit, then head to The Prize Finder Bingo.